Azure Event Grid is an intelligent event routing service that enables you to react to notifications (events) from apps and services. 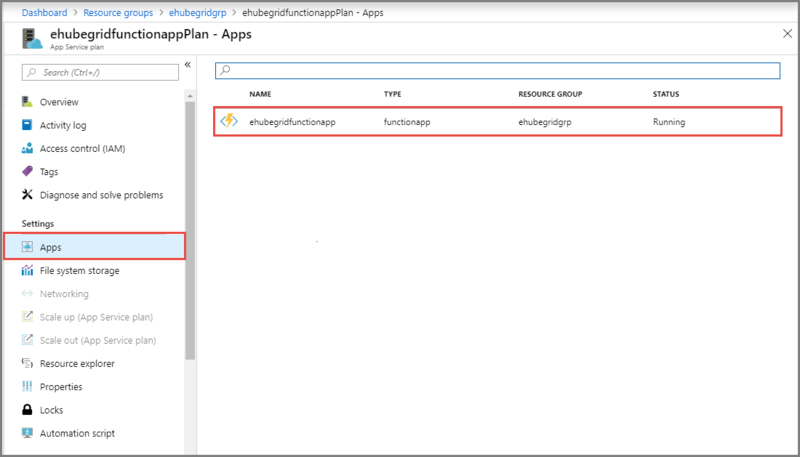 For example, it can trigger an Azure Function to process Event Hubs data that has been captured to an Azure Blob storage or Azure Data Lake Storage, and migrate the data to other data repositories. 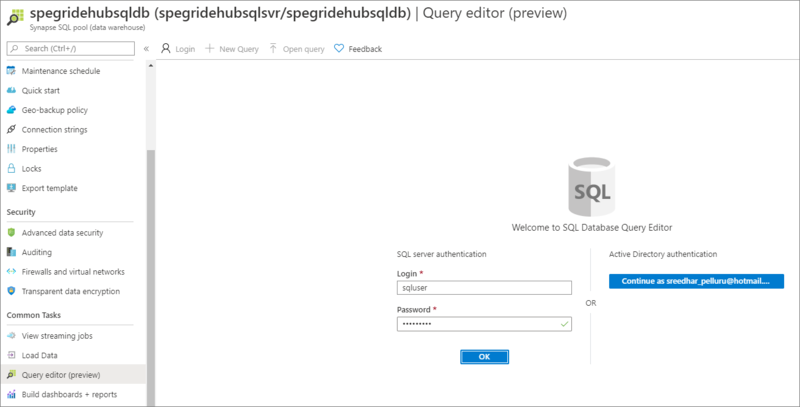 This Event Hubs and Event Grid integration sample shows you how to use Event Hubs with Event Grid to seamlessly migrate captured Event Hubs data from blob storage to a SQL Data Warehouse. Data sent to an Azure event hub is captured in an Azure blob storage. When the data capture is complete, an event is generated and sent to an Azure event grid. 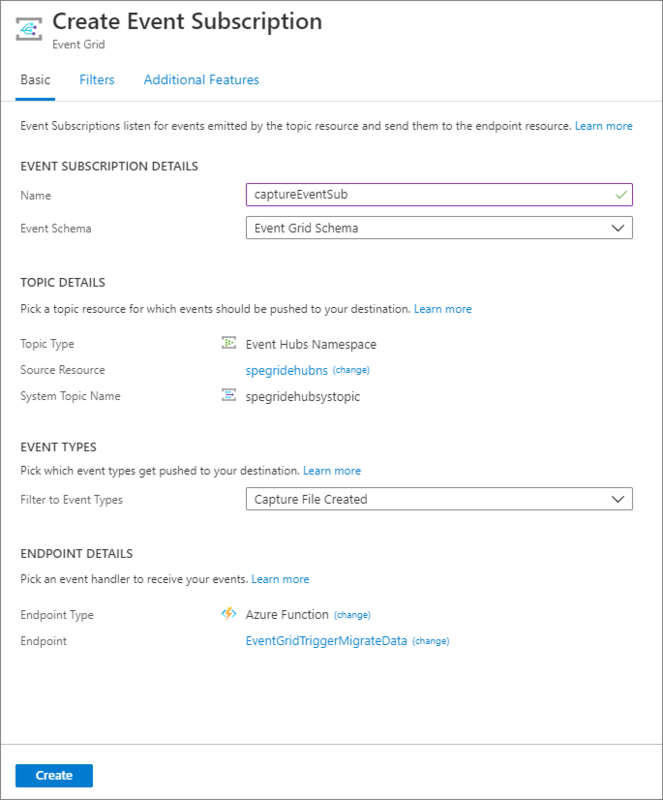 The event grid forwards this event data to an Azure function app. 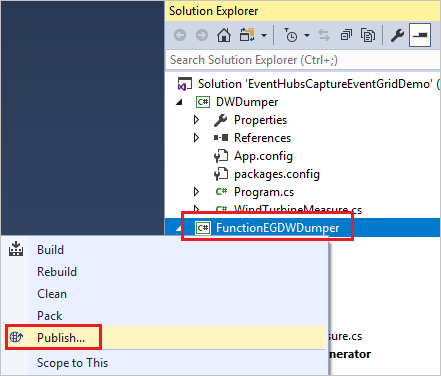 The function app uses the blob URL in the event data to retrieve the blob from the storage. 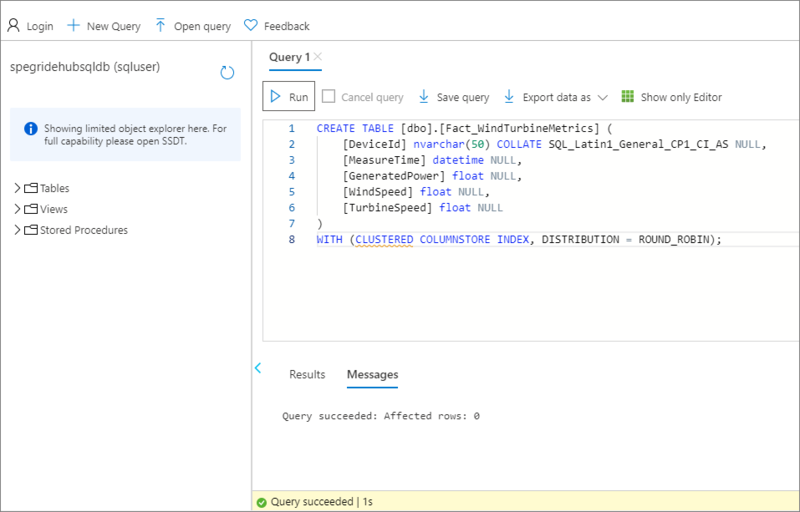 The function app migrates the blob data to an Azure SQL data warehouse. 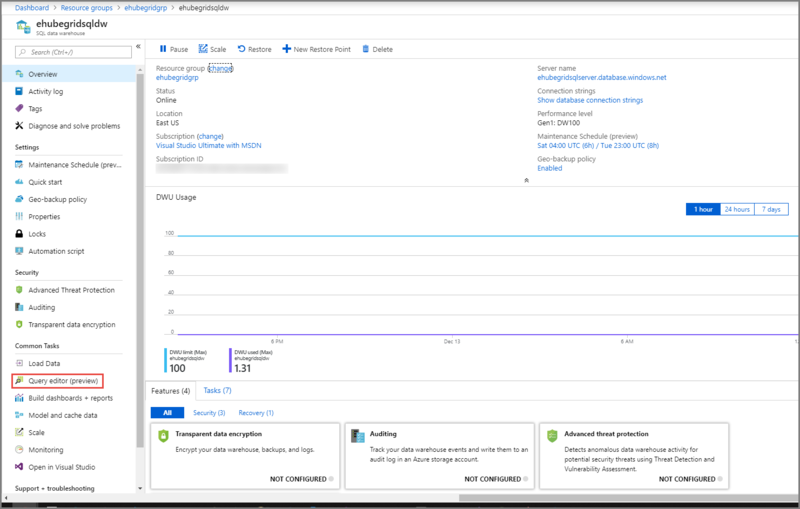 Use an Azure Resource Manager template to deploy the infrastructure: an event hub, a storage account, a function app, a SQL data warehouse. Create a table in the data warehouse. Add code to the function app. Run app that sends data to the event hub. View migrated data in data warehouse. Visual studio 2017 Version 15.3.2 or greater with workloads for: .NET desktop development, Azure development, ASP.NET and web development, Node.js development, and Python development. Download the EventHubsCaptureEventGridDemo sample project to your computer. Event hub with the Capture feature enabled. Storage account for the captured files. Select Cloud Shell button at the top. You see the Cloud Shell opened at the bottom of the browser. In the Cloud Shell, if you see an option to select between Bash and PowerShell, select Bash. If you are using the Cloud Shell for the first time, create a storage account by selecting Create storage. 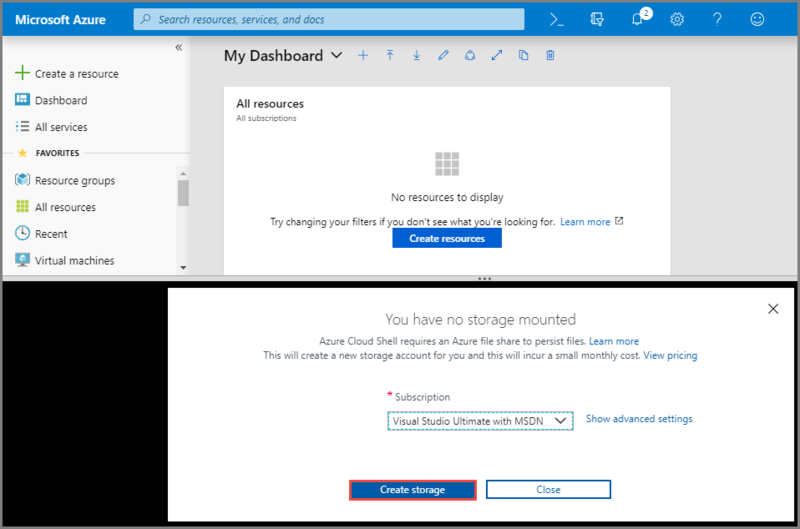 Azure Cloud Shell requires an Azure storage account to store some files. Wait until the Cloud Shell is initialized. Copy and paste the command into the Cloud Shell window. Alternatively, you may want to copy/paste into an editor of your choice, set values, and then copy the command to the Cloud Shell. Name of the resource group you created earlier. Name for the event hub namespace. Name for the event hub. You can leave the value as it is (hubdatamigration). Name for the SQL server. Name of the SQL user and password. Name of the storage account. Name for the function app. Press ENTER in the Cloud Shell window to run the command. This process may take a while since you are creating a bunch of resources. In the result of the command, ensure that there have been no failures. 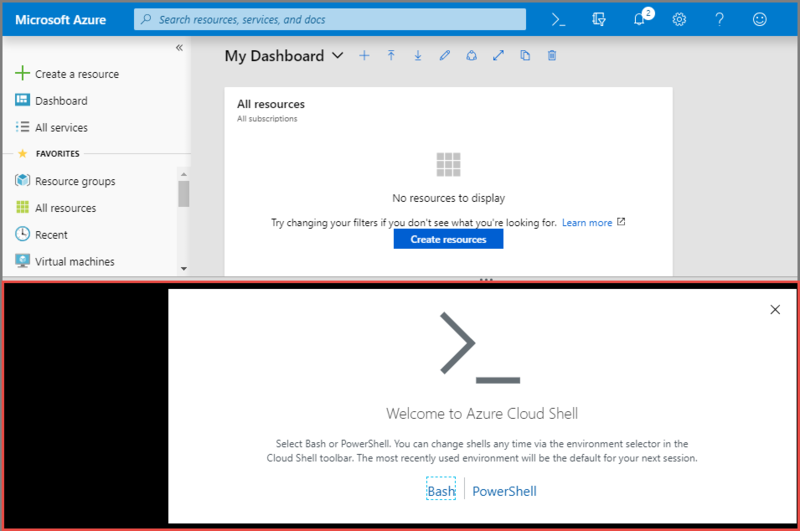 In Azure Cloud Shell, switch to PowerShell mode. 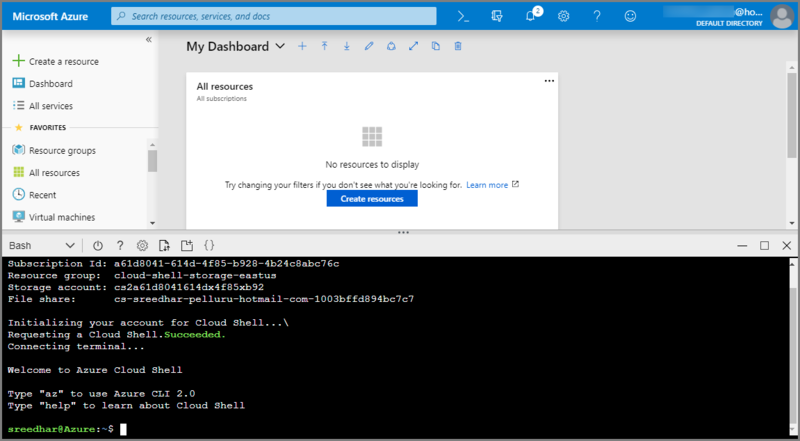 Select down arrow in the top-left corner of Azure Cloud Shell, and select PowerShell. Copy and paste the following command into the Cloud Shell window. Specify a name for the resource group. Close the cloud shell by selecting the Cloud Shell button in the portal (or) X button in the top-right corner of the Cloud Shell window. 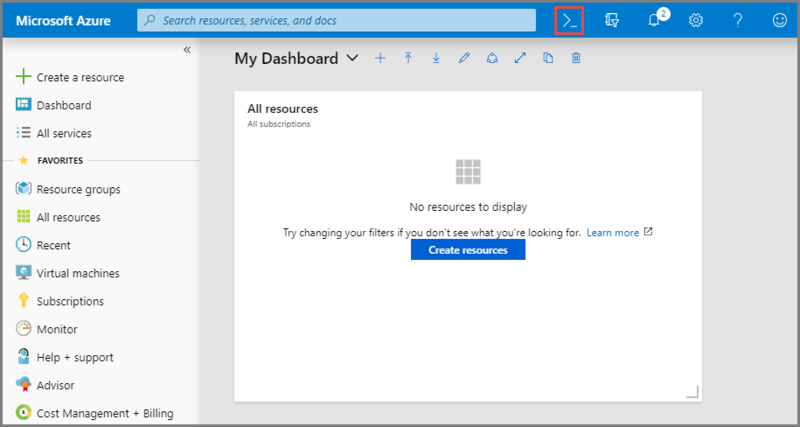 In the Azure portal, select Resource groups on the left menu. Filter the list of resource groups by entering the name of your resource group in the search box. Select your resource group in the list. In the list of resources in the resource group, select your SQL data warehouse. In the SQL data warehouse page, select Query editor (preview) in the left menu. Enter the name of user and password for the SQL server, and select OK.
Keep this tab or window open so that you can verify that the data is created at the end of the tutorial. Open the EventHubsCaptureEventGridDemo.sln solution that you downloaded from the GitHub as part of the prerequisites. If you see the following screen, select Start. In the Pick a publish target page, select the Select existing option, and select Create Profile. 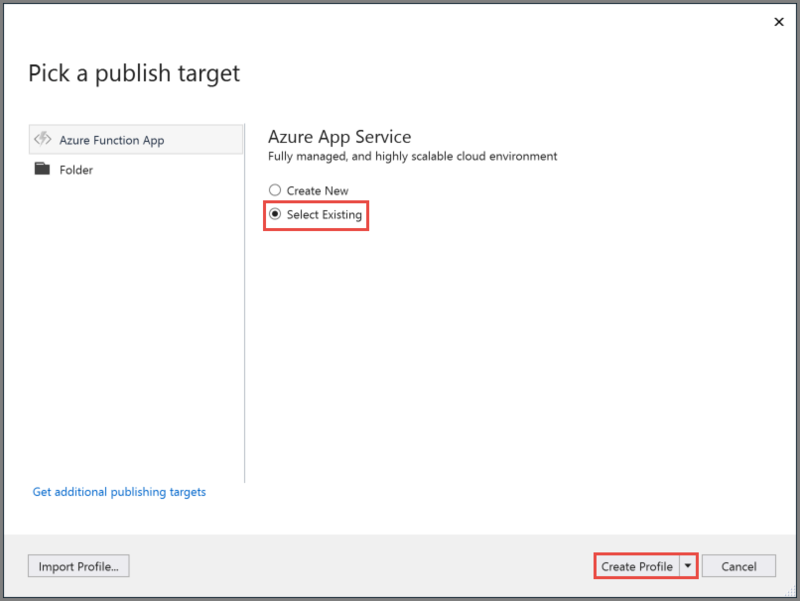 In the App Service page, select your Azure subscription, select the function app in your resource group, and select OK.
After publishing the function, you're ready to subscribe to the event. In a new tab or new window of a web browser, navigate to the Azure portal. Select the App Service plan in the list. In the App Service Plan page, select Apps in the left menu, and select the function app. Expand the function app, expand functions, and then select your function. Select Add Event Grid subscription on the toolbar. Select the Azure resource group. Select the Event Hubs namespace. In the EVENT SUBSCRIPTION DETAILS page, enter a name for the subscription (for example: captureEventSub), and select Create. You've finished setting up your event hub, SQL data warehouse, Azure function app, and event subscription. Before running an application that generates data for event hub, you need to configure a few values. In the Azure portal, navigate to your resource group as you did earlier. In the Event Hubs Namespace page, select Shared access policies on the left menu. Select RootManageSharedAccessKey in the list of policies. Select the copy button next to the Connection string-primary key text box. Go back to your Visual Studio solution. In the WindTurbineDataGenerator project, open program.cs. Replace the two constant values. Use the copied value for EventHubConnectionString. Use hubdatamigration the event hub name. If you used a different name for the event hub, specify that name. Build the solution. Run the WindTurbineGenerator.exe application. 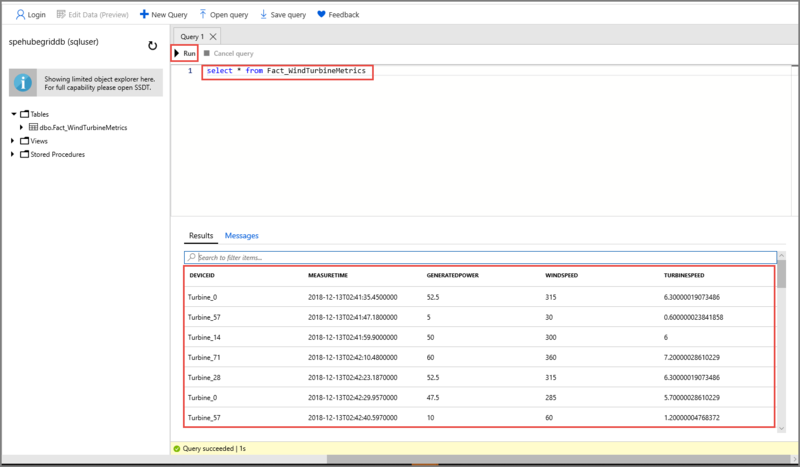 After a couple of minutes, query the table in your data warehouse for the migrated data. Event Grid distributes event data to the subscribers. The following example shows event data generated when data streaming through an event hub is captured in a blob. In particular, notice the fileUrl property in the data object points to the blob in the storage. The function app uses this URL to retrieve the blob file with captured data. 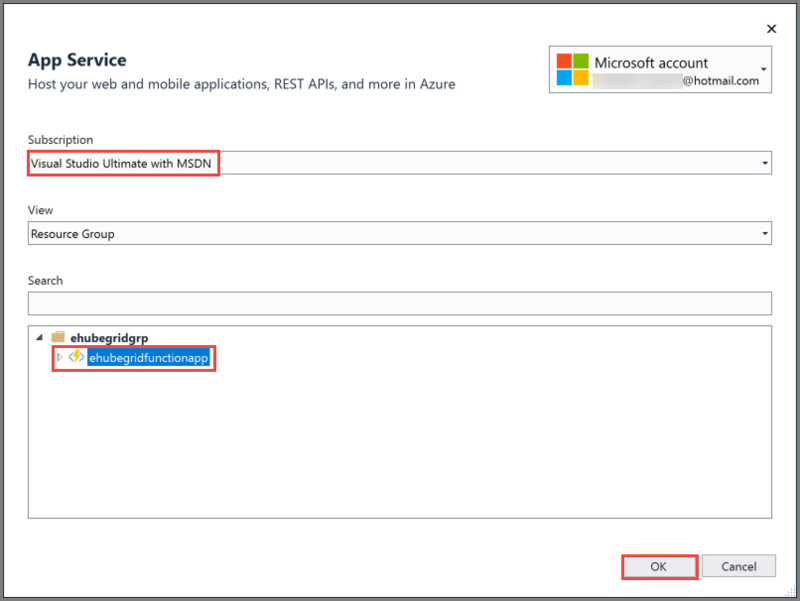 To learn about differences in the Azure messaging services, see Choose between Azure services that deliver messages. For an introduction to Event Hubs Capture, see Enable Event Hubs Capture using the Azure portal. For more information about setting up and running the sample, see Event Hubs Capture and Event Grid sample.